Distributed virtualization changes the pattern of building software systems. However, it brings some problems on dependability assurance owing to the complex social relationships and interactions between service components. The best way to solve the problems in a distributed virtualized environment is dependable service components selection. Dependable service components selection can be modeled as finding a dependable service path, which is a multiconstrained optimal path problem. 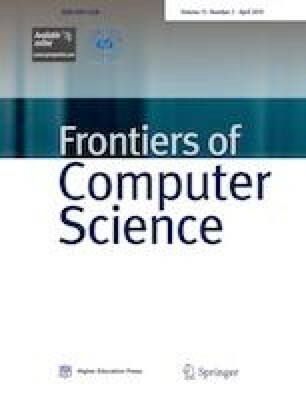 In this paper, a service components selection method that searches for the dependable service path in a distributed virtualized environment is proposed from the perspective of dependability assurance. The concept of Quality of Dependability is introduced to describe and constrain software system dependability during dynamic composition. Then, we model the dependable service components selection as a multiconstrained optimal path problem, and apply the Adaptive Bonus-Penalty Microcanonical Annealing algorithm to find the optimal dependable service path. The experimental results show that the proposed algorithm has high search success rate and quick converges. Shichen Zou received his BE degree from Harbin Engineering University (HEU), China in 2011. He is currently a PhD student in HEU. His research interests include dependability assurance, trust management and cloud computing. Junyu Lin received his PhD degree from Harbin Engineering University, China in 2014. He is currently a research associate of Institute of Information Engineering, Chinese Academy of Science, China. His main research interests include QoS, mobile cloud computing and service computing. Huiqiang Wang is currently a professor and PhD supervisor in Harbin Engineering University, China. He is also a senior member of China Computer Federation. His main research interests include dependable computing, autonomic computing, cloud computing and future Internet. Hongwu Lv received his PhD degree from Harbin Engineering University (HEU), China in 2011. He is currently a lecturer in HEU. His main research interests include autonomic computing and process algebra. Guangsheng Feng received his PhD degree from Harbin Engineering University (HEU), China in 2009. He is currently a lecturer in HEU. His research interests involve virtualization and cognitive network. Supplementary material is available for this article at https://doi.org/10.1007/s11704-017-6317-0 and is accessible for authorized users. This paper was supported by the National Natural Science Foundation of China (Grant Nos. 61370212, 61402127, 61502118), the Research Fund for the Doctoral Program of Higher Education of China (20122304130002), the Fundamental Research Fund for the Central Universities (HEUCF100601) and the Natural Science Foundation of Heilongjiang Province (F2015029).